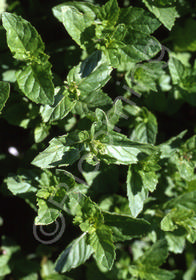 Dark green foliage has a fresh spearmint fragrance & flavor for culinary use in teas. Purple-hued flowers in summer. Excellent dried or fresh.